Writing the way to career success makes me feel like I am writing about the Tao of career success. I am in no position to write that. Especially, when it comes to success. Something that is so subjective. However, we do need a platform to discuss work and related issues hence a lot of the topics are written as such. Readers familiar with my articles would understand that a lot of what I write are geared towards actions and perhaps one would call it good old-fashion hard work. So, treading carefully – what is the way to career success?. Here are my 7 important tips to add to your arsenal on your way to career success. Whatever you choose to do, have a goal. Have an objective and make it very real. The only way I know how to make a goal feel real and have done it for many years is to – WRITE IT DOWN. When you write something down it is almost like making a commitment. Once you make that commitment be passionate about it. Pursue the heck out of it! Learn everything you have to about it. Make yourself the world expert on it. The world is constantly changing. It does not matter what line you are in, you need to be educated and constantly ,a href="http://www.career-success-for-newbies.com/attitude-in-the-workplace.html">improve yourself. How can you be educated forever? Start with reading. Then pen your thoughts – write. With the advent of cheap flight tickets from low cost airlines – travel to see the world and see how people live. Be a traveler not a tourist. Learn to experience as much as you can via your reading, writing, and travel. Your mind is a wonderful tool it creates so much more when it is imbibed with gems. Travel your way to career success if you will. Start something and finish it. Do not stop working just because you feel you have worked very hard. When you stop, other people catch up. There has got to be something you can be doing. There is no “I have finished.” When you say that, you are truly finished. Never stop, never ever stop what you start, what you want to pursue. What you want to be an expert in, you need to pursue relentlessly on your way to career success. It’s what separates the mediocre and the great. Don’t let the BS of big picture; small picture thoughts clutter your brain. It takes both to be great at what you do. The details are what makes or breaks a great project. The person who attends to details holds a lot of power. This is one great secret I discovered in my working 17 years. Don’t believe it? Try it. Start noticing the details and take care of the details. Then see if I am telling the truth. One way to career success is to question what you hear. Especially, about career success. Even this article you are reading now. Authors can only share their experiences. Their ideas may not be right for you. Take it, try it. If it doesn’t work, create your own. Be a skeptical enquirer on your way to career success. Importantly, asking the right questions will get you the answer you want. But sometimes asking the question is the answer. You begin your way to career success if you are willing to take responsibility for your life and everything in it. Do not push blame and do not give excuses. Learn from your mistakes. Mistakes are good for you. It makes you wiser on your way to career success. Measure Your Success – Eventually How Will You Measure Yourself? How do you measure your success eventually? In the pursuit of career success, do you manipulate and maneuver your way through with no regards for the others? 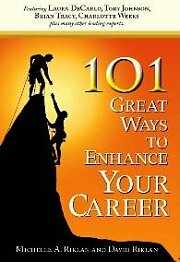 For more articles related to "Way To Career Success", click here.